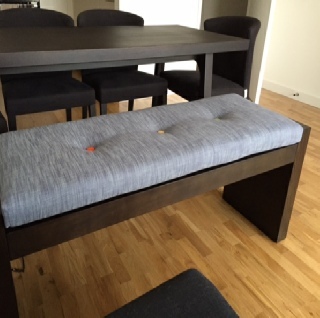 ﻿ Indoor bench and stool cushions. Cushionzone supply cushions for any shape or size of bench or window seat , complicated or irregular shapes may need a paper or card template. Pictures of our work, below, all sent in by customers.